Barca, Atletico, vie for Costa! Barcelona and Atletico Madrid are interested in signing Diego Costa, as they seek to try and take advantage of the uncertainty over the Spanish international’s future at Chelsea. While Barca are monitoring the situation and have let that be known to the 28-year-old’s camp, Atletico are almost certain to revive their summer interest in their former player, to replace Antoine Griezmann, who is widely expected to move to Manchester United in the summer. Bids for the player in this window are not out of the question, but it is understood Chelsea have no intention of selling this January, despite a controversial weekend that finished with him missing the league leaders’ 3-0 win away to Leicester City through a back injury. It also followed plenty of speculation over his future, as the player has an offer to go to Chinese Super League. Costa joined Stamford Bridge from Atletico in June 2014, and has been open about how close he was to returning to the Vicente Calderon last summer. The Brazilian-born striker has also frequently told friends and work colleagues how much he misses Spain and the lifestyle there. He admitted as much to the English press on New Year’s Day. “I had the possibility to go to Atletico, because of a few things, the family, the life I have there but not because of Chelsea, because, here, there’s a lot of love with the supporters, with the people, so I’m here very happy,” he said at the time. Sources in Madrid and Manchester say Atletico are almost resigned to losing Griezmann to United in the summer for an expected fee of around £100m, making a return bid for Costa inevitable. Those close to the club say they would expect to pay around £40m. That could change if Barcelona make their interest concrete, however. 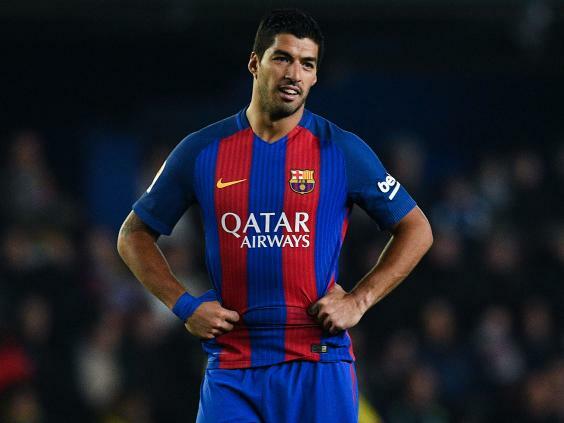 In what has been a more difficult season for the defending Spanish champions, their famous attack of Leo Messi, Neymar and Luis Suarez has not come close to the impact they had in the 2014-15 treble season. With Suarez set to turn 30 next week, the Barca hierarchy are more open to changing up their attack, and Costa is high on their list of targets. Chelsea are intent on at least keeping their top-scoring striker until the summer, however. Having missed Saturday’s match at Leicester, Costa was in having treatment on his back with the club physio on Monday morning.